There were a handful of European nations where the Nazi killing machine sputtered, but few seem more remarkable and less illuminated than Albania. 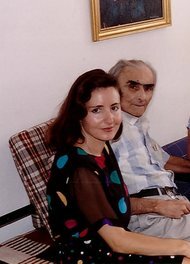 Felicita Jakoel in 1992 with her father, Josef, who was able to hide from the Nazis because of help from Albanians. With ordinary Albanians moving Jews from hide-out to hide-out to elude capture, Albania saved virtually all of its 200 native Jews and 400 Jewish refugees from Germany and Austria. The country also helped spirit hundreds more over from Nazi-occupied Balkan lands. A full picture of that rescue emerged only in the early 1990s after the collapse of a particularly opaque and repressive Communist government and was confirmed by Yad Vashem, the Holocaust research institute, in 2007. It will be retold on Dec. 8 at the Museum of Jewish Heritage in New York, where speakers will include descendants of Albanian rescuers and of rescued Jews. Albania has practical reasons for wanting this story known. The country is seeking membership in the European Union, but its chances are hobbled by a history of ingrained corruption. At a time when Albania has promised to clean up its government, the rescue story not only highlights an episode of Albanian magnanimity, but also shows that Albanians honor their promises. In much of Europe, the Final Solution was remarkably efficient: 90 percent of Poland’s 3.3 million Jews were killed, 88 percent of Germany’s 240,000 Jews, 77 percent of Greece’s 70,000 Jews, with similarly chilling tolls elsewhere. The exceptional difference in Albania, experts on the episode say, was rooted in a national creed called besa that obligates Albanians to provide shelter and safe passage for anyone seeking protection, particularly if there has been a promise to do so. Failure to act results in a loss of honor and standing. “It involves uncompromising protection of a guest, even at the point of forfeiting one’s own life,” wrote Shirley Cloyes DioGuardi, an organizer of the New York event whose husband, former Representative Joseph H. DioGuardi, visited Albania in the early 1990s and helped unearth details of the rescue. Two other countries saved most of their Jews as well. When German occupiers ordered the deportation of Denmark’s 7,800 Jews in 1943, neighbors, colleagues and activists, in a virtually spontaneous outpouring of help and resistance, transported more than 7,000 Jews, largely by fishing boat, across a channel to neutral Sweden, according to Bo Lidegaard, editor in chief of the newspaper Politiken. Bulgaria was allied with the Nazis and turned over 11,000 Jews from occupied Macedonia and Thrace for deportation to death camps. But when an order came for deportation of Bulgaria’s own Jewish citizens, members of Parliament and church leaders pressured the government to resist, and 48,000 Jews survived. Rafael Jakoel and his brother-in-law went to Tirana to meet the interior minister, Xhafer Deva, of what seemingly was a fascist government collaborating with the Nazis. The minister even showed them a list of Jews whom the Germans had asked for. Nevertheless besa was so forceful that he did not turn over the list, Ms. Jakoel said. Mustafa-Pashe Rezniqui, an Albanian rescuer, in 2006. A full picture of Albania’s aid to Jews emerged in the 1990s. Ms. Jakoel’s father, Josef, who was 18 at the time, and his younger sister and brother were hidden in the home of Vlora’s vice mayor, mingling with his own children. Later the Jakoels hid with a family in the town of Kavaje, scrambling into a garden whenever the Germans approached. When three first cousins were seized, Mr. Jakoel and his brother-in-law returned to Tirana, found go-betweens who had good relations with the Germans and were able to buy the cousins’ release for 3,000 gold coins, Ms. Jakoel said. Many of the rescues took place in Nazi-occupied Kosovo, which is heavily populated with ethnic Albanians and was then part of Yugoslavia. Mr. Alickaj, 59, the New York travel agent, recalled in an interview that his father, Arif Alickaj, was executive secretary of the municipality of Decan and, using popular Muslim names, issued false identifications to allow Jews — many of them refugees from Macedonia and Serbia — to travel to Albania. He too was asked for a list of Jews but insisted there were none, Mr. Alickaj said. 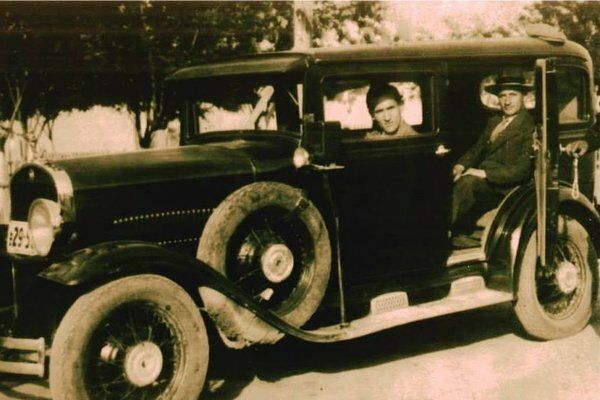 Mr. Alickaj’s friend, Arsllan Rezniqi, a grocer, owned a truck that picked up fruit and vegetables from Macedonia, and over time he transported 400 Jews to Decan. Word had come from ethnic Albanians in Macedonia that their Jewish neighbors were in jeopardy. Mr. Rezniqi’s great-grandson, Leka Rezniqi, 28, an anchor of a television news show in Pristina, Kosovo’s capital, said in a telephone interview that Mr. Rezniqi even built a house in the garden as a shelter for refugees. Albanian neighbors knew Jews were hiding on the property and never exposed them. “They knew that Arsllan gave them besa so he could not be betrayed,” said Leka Rezniqi.